I've discovered so many new (to me) authors & books through my 19th century bookgroup & this is another one. 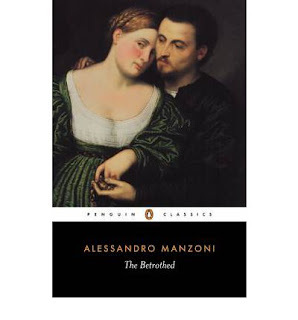 I'd never heard of Manzoni although he's one of the best-known Italian authors of the 19th century. Verdi wrote his Requiem in his honour & this novel, The Betrothed, is considered one of the finest historical novels of the period. 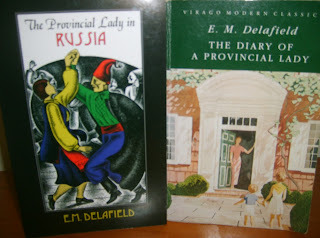 It struck me as I was reading this novel that I've read many English, French & Russian novels written in the 19th century but very few from other European countries. The conveners of my 19th century bookgroup are doing their best to remedy this lack in my education. The Betrothed has a simple story at its heart. Renzo & Lucia are in love & wish to marry. They live in a village in the Duchy of Milan. The story takes place in the 1630s when this part of Italy was ruled by Spain. The peasants are hard-working but at the mercy of petty overlords who act with impunity & are virtually tyrants. One of these, Don Rodrigo, wants Lucia for himself & will stop at nothing to possess her. Don Rodrigo's bravoes (hired thugs) have intimidated the nervous, cowardly priest, Don Abbondio, until he's too afraid to perform the marriage ceremony. The couple fear Rodrigo's next move &, when their plan to trick Don Abbondio into marrying them fails, they, along with Lucia's mother, Agnese, leave the village to escape Rodrigo's influence. The couple are advised by the Capuchin monk, Father Cristoforo. He is a brave, fearless man who has entered the monastery as penitence for his own misdeeds. He confronts Rodrigo & tries to shame him into leaving Lucia in peace but this only results in Rodrigo using his political influence to have Father Cristoforo transferred to a faraway monastery. Lucia has been advised to take refuge in a convent with the mysterious Nun of Monza while Renzo heads to Milan to consult the Capuchins there. The lovers must undergo many trials in their long separation. Lucia is kidnapped from the convent & her fate is looking dire until rescue comes from an unexpected source. In her relief, she pledges her virginity in gratitude to the Virgin for her deliverance as she now believes that she will never see Renzo again. Renzo reaches Milan after several adventures on the road but is then caught up in riots caused by famine & finds himself with a warrant for his arrest after he's taken for one of the ringleaders. Then, war breaks out & Lucia & her mother, along with Don Abbondio & his wily housekeeper, Perpetua, must take refuge from the approach of enemy soldiers. After this, plague breaks out. In all this time, Lucia & Renzo have had little news of each other apart from some comically misinterpreted letters written by friends as the lovers are illiterate. When Renzo survives the plague, he is determined to find Lucia & sets off on his final long journey.to discover the truth. The Betrothed is a wonderful book with enough romance, adventure & evil to satisfy any reader. The characters are beautifully drawn. Lucia is good, honest & beautiful, determined to stay true to Renzo & well-supported by her feisty, resourceful mother, Agnese. Renzo is brave & impulsive although unfortunately prone to drinking a little too much in taverns & making impulsive speeches that get him into trouble. He's always worked hard - he has a farm but is also a trained silk worker - & he's not intimidated by Don Rodrigo & his thugs. He has an innate belief in his own self-worth & won't accept that evil, in the form of Don Rodrigo or any other petty tyrant, should have power over his life. The portraits of the religious characters are interesting. The village priest, Don Abbondio, is timid with his superiors but confident with his parishioners. He just wants an easy life & his cowardly dithering is very funny. His housekeeper, Perpetua, keeps him in line, mostly for his own good. Father Christoforo is a penitent man who does all he can for Lucia & Renzo. His advice is good although his powers don't match his desire to help. Lucia's refuge at the Convent at Monza leads to the strange story of Gertrude, the Nun of Monza, who was forced into the convent by her wealthy family & who becomes enamoured of her power. Finally, Cardinal Borromeo, based on a real person, is the model of a churchman - kind, charitable, learned. The many people the lovers meet on their travels, from the mysterious Unnamed, a petty tyrant like Rodrigo who undergoes a miraculous change of heart to the kind relatives & friends who help Renzo with food & work on his journey, are all fascinating & all individual. The epic scenes of famine, war & plague are horrifying yet compelling & obviously based on extensive historical research. Our narrator does digress occasionally into a chapter or two of exposition on the causes of the war or the political situation & this can become a little tedious. The only exception to this is the chapters on the progress of the plague which were compelling reading if disturbing in their detail about the horrors people suffered. But, as soon as we return to Lucia & Renzo, the pace picks up & I raced on to the end to discover their fate. On the last Sunday morning in April, here's a lovely, melancholy poem by Wordsworth, Two April Mornings. This is one of the poems that Wordsworth wrote when he was staying in Goslar in Germany in 1798-9 with his sister, Dorothy. 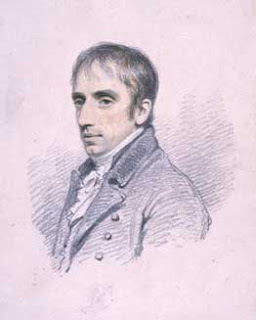 It was apparently the coldest winter of the century & Wordsworth wrote lyrics about home to relieve his homesickness. In Juliet Barker's biography of Wordsworth, she quotes a letter he wrote, "The people of the house used to say, rather unfeelingly, that they expected I should be frozen to death some night." Instead of improving his German, he stayed wrapped up in blankets & his greatcoat, writing about his childhood. 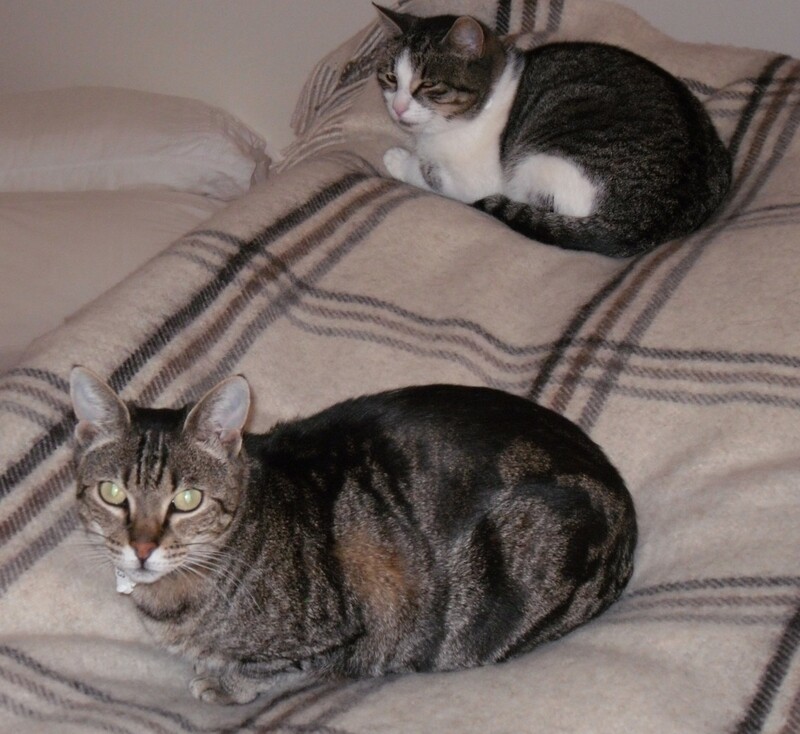 I can always tell what season it is by looking at where Lucky & Phoebe choose to sleep. This is Abby's old striped bed with the lambswool pillow. I'd put it under the back stairs during the summer thinking that the girls might like to sleep on it there as it was Abby's favourite spot. Neither of them went near it all summer. On the last hot day, just before Easter, I washed the cover & brought the bed inside next to Phoebe's scratching pole & she walked straight in, turned around three times & flopped down on it. She's hardly moved since - during the day, at least. 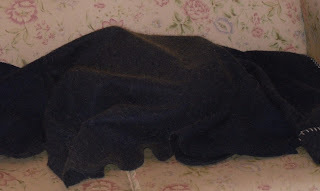 Lucky has only one favourite sleeping spot, apart from my lap, & that's under her blanket on the couch. Or so I thought! I bought this lovely undyed Shetland wool blanket from here & put it on my bed. The girls both investigated this new object in their own way. Phoebe jumped straight up & fell asleep almost immediately. Lucky poked & prodded, checking for monsters that might be lurking underneath this new, strangely smelling object. Once she had declared it safe, she also decided that nowhere could be cosier on chilly evenings. 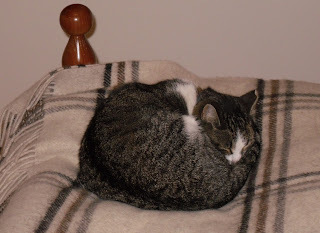 So, every night for the last week, this is what I've discovered when I've gone to bed (even though when I started my bedtime routine - brush teeth, get glass of water - Lucky was asleep on my chair having reluctantly moved from my lap). Doesn't leave much room for my legs... but then, whose comfort is more important? I'm usually very reluctant to read books, especially when they've been much-hyped. I find that I'm almost immediately offside with a book that's been over-praised even before publication. I might read it months or years later when all the hoo-ha has died away or I might never read them. However, I heard an interesting discussion about The Rosie Project on the ABC's Book Club program & we had the ebook available at work (there was a long reservation queue for the hard copy) so I thought I'd give it a go. Don Tillman is a genetics professor at a Melbourne university. He believes in routine & order. He lives his life by schedules & the lists written on his whiteboard. He has few friends, only Gene, a colleague at work & his wife, Claudia. Don is somewhere on the autism spectrum. His relationships with women have been disastrous, the most recent date ended badly when he tried to convince his date that she couldn't tell the difference between mango & apricot ice cream because all ice cream tastes the same. Approaching his 40th birthday, Don decides that it's time he married so he devises the Wife Project, a scientific questionnaire to find the perfect partner. A questionnaire! Such an obvious solution. A purpose-built, scientifically valid instrument incorporating current best practice to filter out the time wasters, the disorganised, the ice cream discriminators, the visual harassment complainers, the crystal gazers, the horoscope readers, the fashion obsessives, the religious fanatics, the vegans, the sports watchers, the creationists, the smokers, the scientifically illiterate, the homeopaths, leaving, ideally, the perfect partner, or, realistically, a manageable shortlist of candidates. You can see from this list what Don is preoccupied with. His social interactions are awkward because he doesn't pick up the emotional cues from the people he meets. Gene helps Don sort through the applicants & tries to convince him to loosen up some of the criteria but doesn't have much success. So, he sends Rosie to see Don &, although Rosie is the opposite of the woman Don imagined when he prepared his questionnaire, they become friends, mostly as a result of misunderstandings. Rosie is a student working part time as a bartender. She is a free spirit compared to Don. She smokes, she's fussy about food (she's basically vegetarian but eats seafood if it's sustainable) & she claims to be able to tell the flavours of ice cream apart in a blind test. Rosie is also obsessed with finding out the identity of her father. Before she died when Rosie was 12, her mother told her that she wasn't the child of her husband Phil. Rosie has found Phil wanting ever since. Her mother had a fling with one of her fellow medical students after graduation but didn't say who it was. With Don's help, Rosie sets out to collect the DNA of all the possible candidates & discover her father. This becomes the Father Project. Don & Rosie's friendship grows as their commitment to the Father Project increases. Don is intrigued by Rosie & the turning point is when he realises that even though she's totally unsuitable as a partner according to his questionnaire, he has had the most fun in his life with Rosie (apart from his visits to the American Museum of Natural History in New York). Every time they seem to be growing closer, Don's lack of social perception spoils the moment & almost ends their friendship. He decides to start the Rosie Project to try to change his life for the better. 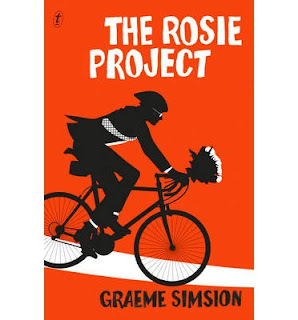 The Rosie Project began life as a screenplay & eventually, after being turned into a short story & then a novel, won the Victorian Premier's Award for an unpublished manuscript in 2012. It's been sold to 30 countries & I'm sure the film rights are about to be sold if they haven't been already. I enjoyed the book very much with only a few reservations. Maybe it was Don's narration or maybe it's because it was originally a screenplay but there was very little sense of place. If it wasn't stated that it was set in Melbourne, I would have thought it was set in an American city. There's no sense of Melbourne at all apart from a few mentions of pubs. Don grew up in Shepparton but, again, it could have been any midwestern American town. The only moment when there was a sense of being in Australia was when Don's brother called him Mate on the phone. On the other hand, there's a lot of humour & some very poignant moments as well. Don has an awareness that his social perceptions are not the same as everyone else's. Although he sees this as "simply variations in human brain function that had been inappropriately medicalised because they did not fit social norms - constructed social norms - that reflected the most common human configurations rather than the full range. ", he knows that his lack of friends & close personal relationships derives from his different brain function. His voice is quirky & very endearing. The Rosie Project is a book that looks at some serious issues with a very light touch & I enjoyed reading it. I featured a poem by Mary Robinson a couple of months ago but writing about Caroline Norton's life brought her to mind & then I cam across this poem in my anthology. Both women suffered because of the men in their lives but both of them triumphed in some way over their adversity. Mary Robinson had a short life & suffered a lot of illness but after her career on the stage (where she famously caught the eye of the Prince of Wales, later George IV, in her role as Shakespeare's Perdita) ended, she made a living as a writer. This poem, A Thousand Torments, was written in 1797. A jealous pang has nothing known! In wild, convulsive torments reign. To mark no soothing hour of rest. Still wounds, when passion lives no more. Reading Caroline Norton's poetry a while ago made me curious about her life and, as I had this biography on the tbr shelves, I thought it was about time I read it. Especially as the book has been sitting on the shelves since 1994! It just proves my theory that every book on my tbr shelves will have its day. Hopefully most of them won't wait nearly 20 years for that day. Caroline Norton was a member of the famous Sheridan family. 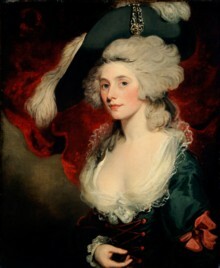 Her grandfather, Richard Brinsley Sheridan, was an actor & playwright. Caroline's father died young of tuberculosis & her mother was granted a grace & favour apartment at Hampton Court by George IV, an old friend of Richard Brinsley Sheridan, where she brought up her seven children. The family were forced to live frugally but the children adored Hampton Court & their close relationship in later life was fostered here. Caroline & her sisters, Helen & Georgiana, grew up beautiful, witty but unfortunately, poor. Knowing that they had to marry well, Helen & Georgiana were fortunate in their choices as they had happy marriages. Caroline, at 19, married George Norton, & almost immediately regretted it. George Norton was a strange man. He first saw Caroline when she was at school. He didn't speak to her or arrange to be introduced but wrote to her mother proposing marriage. Mrs Sheridan refused as Caroline was so young & they didn't even know each other. Three years later, after Caroline had been in society for a year & had attracted many admirers but no proposals, George Norton appeared again. This time, Caroline & her mother consented. Norton was related to a noble family. His brother was Lord Grantley but the family were not close & the Nortons disliked Caroline on sight, assuming her to be a fortune hunter. George himself was stolid, unimaginative but with a very definite view of his rights & privileges. He had misled Caroline & her mother about his financial situation but he had no intention of working. He had been admitted to the bar but never seems to have practised law. He expected others - his own family, Caroline's mother & eventually Caroline herself - to provide for him. Caroline & George were ill-suited from the beginning. The quarrels began on the honeymoon. 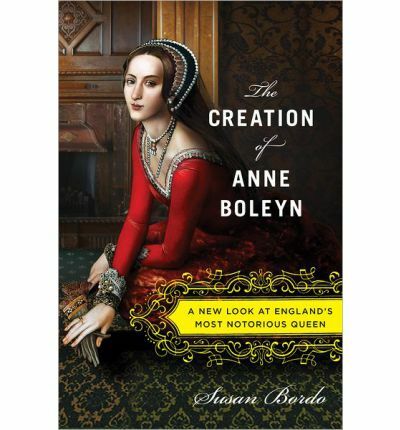 Caroline was quick & clever & she was not deferential to her husband. He was infuriated when she argued with him in public or ridiculed his opinions. He soon resorted to violence in an attempt to subdue his wife. They quarreled about everything - money, his smoking, the dreary visits to his family - & Caroline had to learn how to manage him to some extent or her life would have been a continual misery. 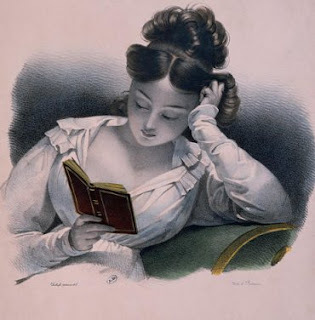 Mrs Sheridan reluctantly used her connections to get George a sinecure & Caroline began to write poetry which she published to some acclaim. The Nortons had three sons but Caroline was always struggling for autonomy from her insensitive, controlling husband. Caroline's friendship with Lord Melbourne was also a comfort to her as it gave her a entree to the political & social circles she longed to be a part of. William Lamb, Lord Melbourne was 30 years older than Caroline. They met in 1831, when he was Home Secretary. Caroline had written to him asking for a job for George & he called on her. Their friendship was immediate. He admired her looks, intelligence & spirit. 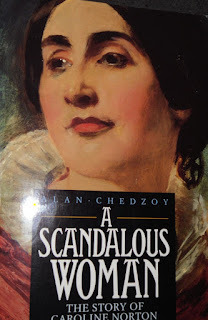 She was charmed by his old world courtesy & fund of racy stories from the days of the Regency. He was also quite a sad, lonely man. His marriage to Lady Caroline Lamb had been a disaster, culminating in her very public affair with Lord Byron. Their only child, Augustus, was mentally impaired. Soon, Melbourne was calling on Caroline every afternoon. Norton was impressed by his wife's friends & had no objection to Melbourne's visits until Caroline decided she had had enough of his cruelty & left him. This is the background to the famous case of criminal conversation brought by Norton against Lord Melbourne in 1836. Criminal conversation was the legal term used for adultery & was a charge brought by a husband against his wife's supposed lover. Wives had no legal identity at this time. Man & wife were considered one being & that being was the husband. A woman could not own property, sue or be sued, gain custody of her children. She owned nothing. Any earnings belonged to the husband. All her belongings, even gifts to her from her family, were not hers. When Caroline left her husband, she was forced to leave her children behind. She had to rely on George's goodwill to be allowed to see the boys & George had very little goodwill. He sent the boys to live with his family in the country or in Scotland. Although he often promised to allow Caroline to see them, she was nearly always disappointed & she had no legal redress. The court case was a disaster for Caroline & Lord Melbourne, now Prime Minister. None of the three principals appeared in court. The only evidence George had was given by bribed servants. Even though Lord Melbourne was acquitted, the case was so scandalous that, for a time, it seemed the Government might fall. Caroline was ostracized by Society although George's position was unaffected. 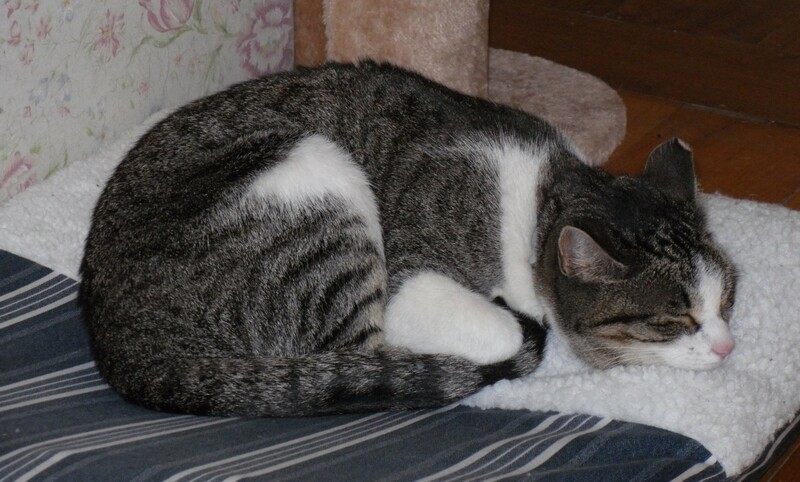 Melbourne kept his distance from Caroline & she only had her loyal family to comfort her. Losing custody of her children was the great tragedy of Caroline's life. It was this that led her to campaign for the rights of mothers to have custody of children under the age of seven. Caroline wasn't a feminist. She acknowledged the superiority of men & of the husband in marriage but when that marriage had broken down, she believed that mothers should have the right to care for their children. Her sons were only six, three & a half & two years old when she left George for good & for the next few years, she barely saw them. She feared that they were being ill-treated by the Nortons & that they would be taught to hate her. She was right to fear that the boys were being neglected when her youngest, William, fell from his horse when riding unsupervised & suffered only a scratch which turned poisonous. The child died of lockjaw before Caroline could arrive to see him. He was only eight. Caroline's persistence in campaigning for the rights of wives led to the passing of the Custody of Infants Act (1839) & the Matrimonial Causes Act (1857) which gave women rights over their own property & earnings. Some people said that her motives were entirely selfish but she was tireless, if not obsessive, in pursuing her cause. She wrote pamphlets, poetry, letters to the newspapers. She supported herself by her writing, editing many scrapbooks & gift books of poetry & stories that were very popular in the Victorian period. Her singlemindedness could be uncomfortable & inconvenient for her friends & family at times but she was so outraged by her helpless position that she went to any lengths to achieve her aims. Her wit & cleverness didn't always make her a comfortable companion but she never doubted the rightness of her cause. Caroline never entirely recovered her social position but she always had the support of her family & her sons, who were eventually allowed to have contact with her. The breakdown of her relationship with Lord Melbourne was always a sorrow to her but she did have some happiness in later life. She had an affair with Sidney Herbert, best known for helping to promote the reforms of Florence Nightingale & a second, late marriage with an old friend that gave her some happiness at last. Caroline Norton campaigned for her own rights in marriage & as a mother. Her connections & the fame of the Sheridan family helped her cause but it was her own persistence & passion that led to her eventual triumph. 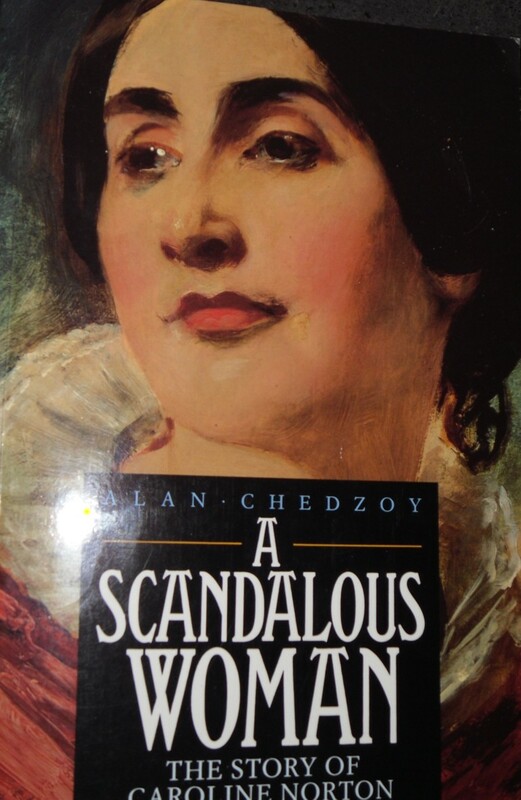 She may not have been completely satisfied with the outcome for herself as George did all he could to obstruct her even when the letter of the law was on her side but the reforms she was instrumental in achieving benefited many other women in her own time & since. Susanna Blamire (1747-94) was known as the Muse of Cumberland. She was known for her songs in Scottish dialect & for her easy, simple verses that nevertheless had a hidden depth of meaning. The Siller Crown is one of her best known songs, set to music by Haydn & quoted by Dickens in The Old Curiosity Shop. Her work wasn't collected until the 1840s but she was known as a poet in her day. Susanna seems to have been a lively woman although in other respects her life seems to have been sad. She was unlucky in love & her health was poor; she died of rheumatic heart disease in her mid 40s. The Siller Crown was written in 1790 & I think it looks forward to Scott's novels & poetry & the Romantic era that was just beginning. Nor think o’ Donald mair. Wi’ a poor broken heart! Gin frae my love I part! I’ll lay me down an’ dee! Wi’ a’ its virtues rare. It wad be waur than theft! I’ll lay me doun an’ dee. 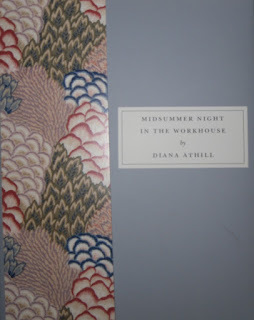 Diana Athill has become well known for her memoirs & her work as an editor which she wrote about in Stet (a book I'm very keen to read now & it's sitting on my desk at the moment). However, in the 1960s, she also wrote short stories. A collection was published in 1962 in the US & more appeared in magazines but they've never been reprinted until this collection from Persephone Books was published a couple of years ago. 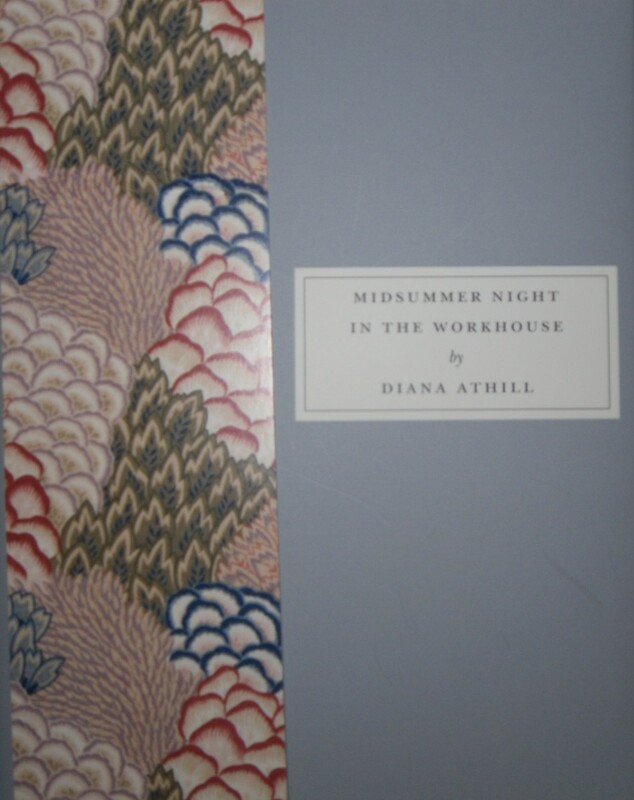 Athill describes the beginning of her life as a writer as "being hit by my first story one January morning in 1958." As an editor she had always seen herself as one who helps others write rather than as a writer herself. The stories often have an autobiographical element or are about the people Athill knew or the social circles she moved in. They are beautifully written, funny, poignant & very readable. A Weekend in the Country is the story of Elizabeth, a young woman who has fallen in love with Richard, a man she knew when she was a child but they've recently met again in London. Elizabeth is an artist, sharing a flat with a friend. She's moved a long way from her country childhood in her attitudes about society, class & politics. Richard, however, loves his country life in his ancestral family home with his conservative politics & comfortable opinions. I am making too much of it, she thought. I am inventing the gulf between us out of some kind of vanity. It is only that they live in the country and I live in London; that they have capital and land, while I have no money but my earnings. Our circumstances are different but we are not creatures of a different kind, there is no need to go into disguise. However, Elizabeth does feel that she's in disguise. Making polite conversation with people whose class assumptions & political opinions appall her. Realising how stifled she would feel living in the country again after the freedom of her life in London with her friends & her work. When Richard takes her to an island on his estate for a picnic, she knows that she is in love with him but she also knows that their relationship will never work. No matter how much she longs for him physically & emotionally, she knows they are so fundamentally different that love wouldn't be enough. 'But we get on very well, don't we?' he asked, looking distressed. The crisis comes when Richard tells Elizabeth that he loves her & she has to try to make him see the impossibility of it. I enjoyed this collection very much. It is a very Persephone book, highlighting women's experiences, the domestic life but always the emotional life of the protagonists. Russell Buffery, known as Buffy, is a retired actor. He's living in London, increasingly discontented with his neighbours & lonely, apart from the company of his dog, Fighjnnnnnnnnnnnn. His personal life is complicated to say the least. Married three times, he is now single. He has three children, Quentin, Tobias & Bruno, from his first two marriages & two daughters, Celeste & Nyange, from other relationships. He also has a much-loved stepdaughter, India, who was the daughter of his second wife, Jacquetta. Don't worry if you're confused. There's a very helpful reference list at the beginning of the book! Heartbreak Hotel also seems to be a sequel of sorts to an earlier book, The Ex-Wives, which I haven't read. If you have read it, you'll be familiar with the tangled relationships. Now, Bridie has died & left Buffy her house. Buffy decides to leave London & move to Knockton. He fancies himself as a B&B owner &, although he loves his children, they're grown-up with their own lives. Buffy needs a new start & Knockton just might be it. Buffy loves Knockton & the locals immediately. Everyone seems friendly & happy with their lives, more or less. Myrtle House is a bit more of a challenge. The house is large, draughty & only has two bathrooms. The facilities are not really up to scratch. However, Bridie had a loyal clientele & a few guests do arrive. Buffy is too kind, & too lonely, to throw the guests out after breakfast if the weather's bad so he often finds himself offering coffee or something stronger & chatting to his guests which tends to eat up the profits. He's a kind man who is happy to offer a shoulder to cry on & he's amazed by the personal stories that people are willing to share. Voda, the young woman who used to be Bridie's cleaner, agrees to work for Buffy & she begins to sort out the publicity as well as the cleaning & cooking. Buffy's accountant daughter, Nyange, attempts to sort out his finances & his stepdaughter, India, arrives to help out as well. Buffy realises that he needs to do more than offer B&B in a rundown house in the middle of nowhere. His great idea is to run courses for the recently divorced or those who have split up where they can learn the skills that their other half had - & took with them when they left. Whether it's gardening, cooking or car maintenance, or his own specialty, how to talk to women, Buffy is sure that there's a growing group of single people looking for help. What he doesn't expect is that the courses will be successful but not always because the clients learn the skill they lack. Romances blossom & both clients & teachers find new direction in their lives. The structure of the novel was interesting, introducing new characters that seem to have nothing to do with Buffy until they all end up at Myrtle House. There's Amy the makeup artist who finds that her life is spent travelling from one film set to another. When she's at home, she feels increasingly remote from her boyfriend & when he leaves, she realises that she's 35 & has no life, no partner & no family. Monica is in her 60s, works in finance & is finding it increasingly difficult to keep up with her colleagues. She hasn't had a relationship for a long time & spent the best years of her life in an affair with a married man who wouldn't leave his wife. Andy is a postman who loves his job. He drifted into a relationship with single mother Toni & now feels under pressure to perform as a partner & as a lover. When Toni gets into buying & selling houses, he realises that he can't go on playing a role he's unhappy with. Harold is a would-be novelist who is trying to write a comic novel narrated by Mary Pickford's cat. He's getting nowhere & then his wife, Pia, leaves him for another woman. They all find themselves at Myrtle House & their lives are changed by the experience. I loved Heartbreak Hotel. There's a cast of thousands but I didn't find it difficult to keep track of who was who or who was with who. Buffy is a sweet man, kind, generous but well aware of his faults & the personal failings that scuppered his marriages. He has loving relationships with his children although they treat him more as a friend than a father. He hasn't been there for much of their lives but his influence on them all has been benign & without resentment. The Knockton locals are an interesting bunch & realistically flawed. There are just as many unhappy people in small towns as there are in London & Buffy's innovations at Myrtle House have an effect on the locals just as much as the people who come to learn something new. 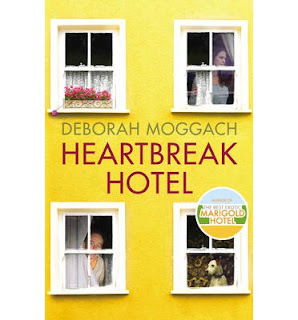 I read Heartbreak Hotel courtesy of NetGalley. There's only one poem it could be today as autumn has finally arrived in Melbourne. The clocks went back last night & the air is hazy with the smoke from the Department of Sustainability & Environment's (DSE) controlled burns in eastern Victoria. There's not a lot of mellow fruitfulness yet but it's early days. I'm sure you've guessed by now that it's To Autumn by Keats. This is one of my favourite photos of Abby. 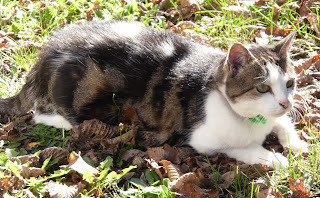 She loved sleeping in the garden on a bed of autumn leaves. I'm sorry to say I've had to reinstate word verification on comments. I was bombarded with over 200 spam messages yesterday & it was the last straw! I hope anyone wishing to leave a comment will still do so even if you have to negotiate the irritating word verification system. Nicola Marter has a gift. When she holds an object, she can connect with the people who have owned it in the past. Nicola is an expert in Russian art & works in a London gallery. 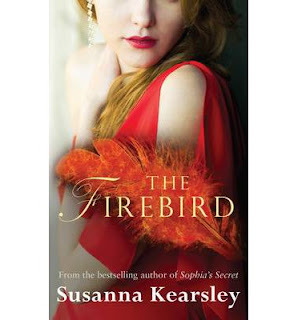 When Margaret Ross brings in a wooden carving of the Russian fairy tale creature, the firebird, Nicola feels an immediate connection to someone called Anna who once owned the object. Margaret's family believed that the firebird was given to their ancestor, Anna, by Empress Catherine, widow of Peter the Great, in the early 18th century. Margaret wants to sell the carving but, without provenance, this will be difficult. Nicola can see how important the sale is to Margaret & she feels compelled to try & trace the history of the firebird. Nicola has ambivalent feelings about her gift of psychometry. Her family discouraged her from talking about it & she feels embarrassed & defensive about it. Her Russian grandfather was persecuted by the Soviets because of it. When studying in Edinburgh, Nicola had taken part in scientific tests conducted by a parapsychology institute. She met Rob McMorran, who accepts his psychic gifts as just a part of who he is. Nicola & Rob's relationship ended abruptly when Nicola left Edinburgh without explanation & returned to London,. Now, Nicola knows that she needs Rob's help if she is going to trace the firebird. Rob is a policeman, living in Eyemouth near the Scottish border. He & Nicola had always shared a deep bond, even reading each other's thoughts & communicating without speech so he's not surprised by her arrival. Rob is able to see the past & agrees to help Nicola in her quest. The search for the firebird takes them from Slaines Castle on the coast near Aberdeen to Belgium & on to Russia. They discover Anna Moray as a child, cared for by the Logans after her parents were forced to leave Scotland because of their involvement with the unsuccessful Jacobite rebellion of 1715. Anna is taken to a Belgian convent by her great-uncle, Colonel Graeme & then, after a terrifying encounter in Calais, Anna is taken on to St Petersburg by Vice Admiral Gordon. Gordon is one of the many Scots who were forced to leave their homeland after fighting for King James. Anna becomes his ward & grows up as part of his family & as part of the Jacobite community in Russia. Peter the Great was sympathetic to King James & gave material help & support to the King as he plotted his return to the throne. When Anna is seventeen, she agrees to stay with the family of General Lacy as companion to his pregnant wife. The General won favour from the Tsar through his bravery at the Battle of Poltava against Sweden & he is a central figure in the expatriate community. Through General Lacy she meets his kinsman, Edmund O'Connor, an Irishman who has been exiled from home because of his Jacobite sympathies. Anna's story is immensely touching. Her longing for family & her careful awareness of the danger of knowledge makes her self-contained & wary. She is also proud of her family although she can never speak of them. Finally, as Anna's story comes to a close, we discover how she acquired the firebird, the fairytale creature who started the quest. I was very moved by the conclusion of Anna's story. If you've read Susanna Kearsley's earlier books, you will find echoes of two of her books in The Firebird. As a boy, Rob had helped a group of archaeologists searching for the missing Roman Ninth Legion & his story was told in The Shadowy Horses. The story of Anna's parents was central to The Winter Sea, another of my favourite Susanna Kearsley books. Reading The Firebird brought both of these books back to me. There were so many lovely touches. Rob still talks to the Sentinel & Nicola hears the shadowy horses when she stays with Rob's parents. I loved revisiting Slaines Castle & remembering both earlier books. Nicola & Rob's relationship is beautifully romantic but almost understated & I found the psychic elements of the story fascinating. Susanna Kearsley writes contemporary & historical fiction equally well & it was a delight to follow Anna's story as Rob describes it to Nicola, whose own psychic gifts become stronger once she acknowledges that it's an important part of her being. Anna & Nicola have a lot in common. Their characters are both self-contained & reluctant to trust their own instincts. Both women must find a way past their self-imposed restrictions before they can find happiness. As if the incredibly satisfying & emotional ending of both stories in the 18th & 21st centuries wasn't enough, Susanna Kearsley has also provided a fascinating essay on the research she did when writing the novel. Russian history has been one of my interests ever since I read two books when I was a teenager - The Youngest Lady-in-Waiting by Mara Kay & Robert K Massie's Nicholas & Alexandra. Since then, I've read many books about Russian history so walking through 18th century St Petersburg in my imagination was just wonderful. Scotland & its history is another interest so a book that combined both was almost too good to be true. Most of the 18th century characters are real & there is documentary evidence for their actions & motives. I loved reading about the process of research, something that always fascinates me. I'm so glad that Colonel Graeme, a character from The Winter Sea wouldn't let go of Susanna Kearsley's imagination & inspired her to write this completely involving story. I don't know how the Lake District got its image as an idyllic rural paradise when murders like the ones in the Lake District mysteries by Martin Edwards seem to happen so often. The Frozen Shroud is an atmospheric novel about murder past & present, jealousy & overwhelming love. It's also an opportunity to catch up with historian Daniel Kind & cold case detective Hannah Scarlett, one of my favourite detective teams. Ravenbank Hall is a house in a remote part of the Lake District that has been the scene of more than one tragedy. Over one hundred years ago, at Halloween, housemaid Gertrude Smith was found dead, her face brutally obliterated & covered in a woollen cloth. Gertrude had been having an affair with the master of the house, Mr Hodgkinson, & she was pregnant. The day after Gertrude's body was found, the mistress of the house, a woman in a fragile mental state, killed herself. The inference was that Letitia Hodgkinson had murdered Gertrude in a jealous fit & then couldn't live with what she'd done. Clifford Hodgkinson had had grand plans for his estate but, after Gertrude's murder & the scandal of his wife's suicide, it all came to nothing. He died not many years later & his daughter, Dorothy, became a philanthropist. Gertrude's ghost, her face hidden by a frozen shroud, is said to walk the lanes of Ravenbank on Halloween in despair that her murderer was never brought to justice. Five years before the main action of the novel begins, Ravenbank Hall is once again a private home, after many years as a care home after WWI. Clifford Palladino lives there, a lonely man since his wife's death. Or, he was lonely until Sheenagh Moss came into his life. A brash Australian, Sheenagh has become the centre of Clifford's life & he plans to marry her. Until, on Halloween, Sheenagh goes out to walk the dog & doesn't return. Clifford stumbles on her body, her face beaten into blankness & covered by a shroud. Five years have passed since Sheenagh's death. Clifford never recovered & died soon after. Ravenbank Hall is now owned by event organisers Oz & Melody Knight. Daniel Kind has been a guest speaker at a conference organised by the Knights, speaking about his research on Thomas De Quincey. Daniel is fascinated by the history of murder & soon hears about the legend of the Frozen Shroud & the murders of Gertrude Smith & Sheenagh Moss. Sheenagh's killer was presumed to be Craig Meek, a former boyfriend who couldn't or wouldn't let go. He was seen in the area on the night of her murder but was killed in a car crash before he could be brought to justice. So, two murders almost one hundred years apart. Two young women murdered in the same way & neither killer brought to trial. Daniel's curiosity is aroused & he begins researching both cases, especially when he learns that one of the detectives investigating Sheenagh's death didn't believe that Craig Meek was guilty. Daniel is invited to a Halloween party at Ravenbank Hall with his sister, Louise. Among the other guests are Jeffrey Burgoyne & Alex Quinlan, partners in life as well as in a theatrical company; Miriam Park, who had been housekeeper at Ravenbank Hall for the Palladinos & Terri Poynton, a close friend of Hannah Scarlett, who is now going out with Miriam's son, Robin.The party guests go on a ghost hunt, hoping that Gertrude's ghost will appear, but they're disappointed. However, when the body of another young woman, murdered in the same way as Gertrude & Sheenagh, is discovered next morning, the search for her killer will lead to the reopening of Sheenagh's case &, ultimately, to the truth behind the murder of Gertrude Smith as well. This is a fantastic mystery series. 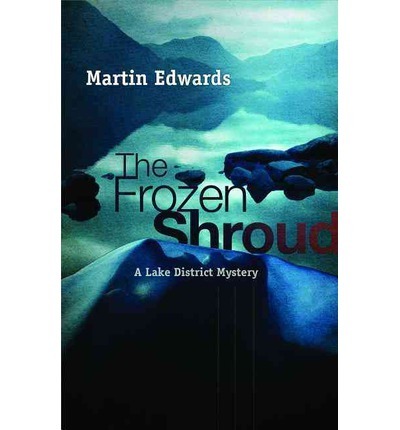 Fast-paced & very readable, I always devour Martin Edwards' books in big gulps, unable to put them down. The sinister atmosphere of remote Ravensbank is beautifully conveyed through the biting cold weather & an atmosphere of dread that affects all the inhabitants of the small community. Daniel's research inevitably steps on some toes as everyone has something to hide although not necessarily about the murders. Daniel himself is an immensely likeable character, who loves his work & is relentless when he gets a lead on a mystery. I enjoyed the details of Daniel's research into Gertrude's murder & the breakthrough he needs comes from a dusty archive where he can finally put the pieces together. Hannah Scarlett has more than enough problems to cope with. Her Cold Case team is threatened by budget cuts; her ex-partner, Marc Amos, is reluctant to believe that their relationship is over; & she's attracted to one of her team, Greg Wharf, a smooth talker who is pursuing her even though she knows what a disaster a relationship with a colleague would be. Hannah & Daniel's relationship has barely moved on from friendship although the sparks are definitely there. When they're brought together again in the search for a murderer, will Hannah be able to disentangle herself from Marc & Greg & find some space in her life for a relationship with Daniel? Speculating about when or if Daniel & Hannah are going to get together is one of the many pleasures of the Lake District series. I read The Frozen Shroud courtesy of NetGalley.